When you’re using the internet from the comforts of your own home, there’s relatively little to worry about. You’re using a secure connection, protected by a password, and unless everyone in the house is streaming movies or playing video games at the same time, there’s usually not very much to worry about in terms of bandwidth usage. However, when you venture out into public, things get a little more complicated. Today, we typically have access to WiFi almost anywhere we go. This allows us certain luxuries such as keeping in touch with our friends and family or being able to catch up on work no matter where we are. While this can be great in terms of communication, public WiFi networks just aren’t quite as safe as your private network at home. With that being said, there are several reasons as to why public networks aren’t as secure as private networks. For one thing, you typically don’t know who set up the network. You also never really know who else is connected to it. And, this leaves you prone to being targeted by hackers or cybercriminals who are after your personal information. Ideally, it’s much safer to use your cellphone’s wireless network instead. However, this isn’t always possible. Fortunately, there are a few things that you can do to protect yourself. Below, we’ll go over 7 tips that can help keep you safe when using a public WiFi connection. Read more about cyber safety here. Google Chrome has recently launched a new update that will warn you when the website you’re visiting is using an unencrypted HTTP connection, instead of an encrypted HTTPS. In the event that a site is not using an HTTPS connection, your Chrome browser should pop up with a warning letting you know that the site isn’t secure. When using public WiFi, it’s a good idea to respect these warnings because when you visit a website that uses an unencrypted HTTP connection, it makes it a lot easier for other people using the same network to spy on the data traveling between your device and the website’s main server. While no public WiFi networks are 100% secure, it’s much safer to stick to using public networks run by companies that you already know and trust. This can be from anyone reputable company such as a McDonald’s, or a Starbucks restaurant. 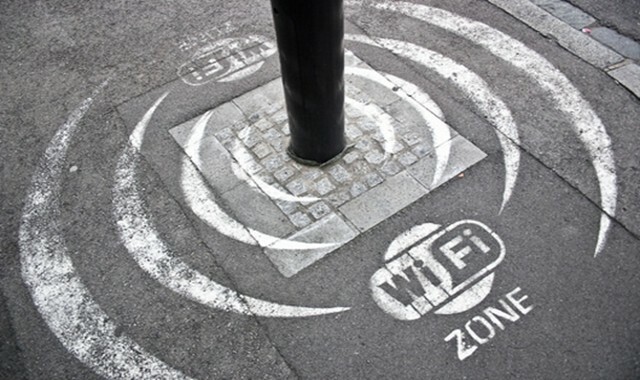 While even these public networks can’t be guaranteed to be safe, they are still much safer than connecting to a random WiFi network that pops up on your phone when you’re walking down the street. Always be cautious when a public WiFi access point asks you to sign in using your personal information, such as an email address or telephone number. Many of these networks want your personal info so that they can recognize you across multiple networks and be able to target their marketing efforts accordingly. While many of these networks may still be safe to use, it’s up to you whether you want these companies being able to recognize you wherever you go. 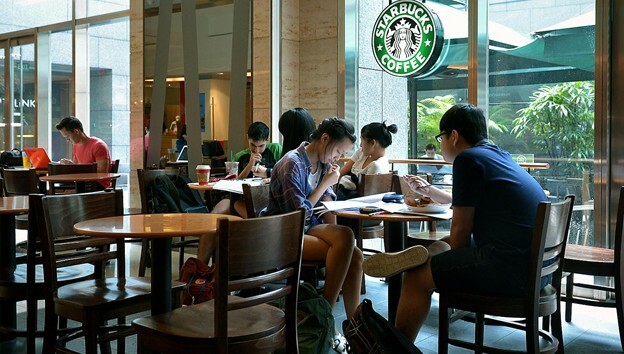 Therefore, if you have no choice but to connect to a public WiFi source, it’s best to stick to networks that you know (McDonald’s, Starbucks, etc.) or if possible, use an alternative sign in information instead of your primary email address. While file sharing services can be great for easily transferring documents from one device to another, they can be dangerous when using a public WiFi network. This is because they leave your device vulnerable to other devices in the area that could be looking to steal your personal information. Therefore, while connected to any public WiFi source, it’s best to keep yourself protected by turning off any and all features that allow wireless file sharing. These features can usually be turned off by going into your device’s setting and disabling anything services such as AirDrop on iOS. Read more about AirDrop here. By disabling these features, it’s guaranteed that no one on the same WiFi network as you will be able to steal any of your files or send you any that could be malicious. One of the most effective practices to staying safe while using a public WiFi network is using VPNs, or Virtual Private Networks. These are programs that you can install on your device that will encrypt the incoming and outgoing data by connecting you to a secure server, making it significantly harder for other users on the same network to see what you’re doing. Connecting to VPNs is a relatively straightforward process. Simply start by downloading a VPN from the provider of your choice, and then it should automatically lead you through a step-by-step guide to installing it on your device. For those who are constantly on the go and tend to connect to many different WiFi networks, using a VPN is crucial to maintain your online security. That being said, it’s definitely worth paying for a VPN service since many free VPN providers are financed by marketing or data collection agencies, which can sometimes be a little sketchy. 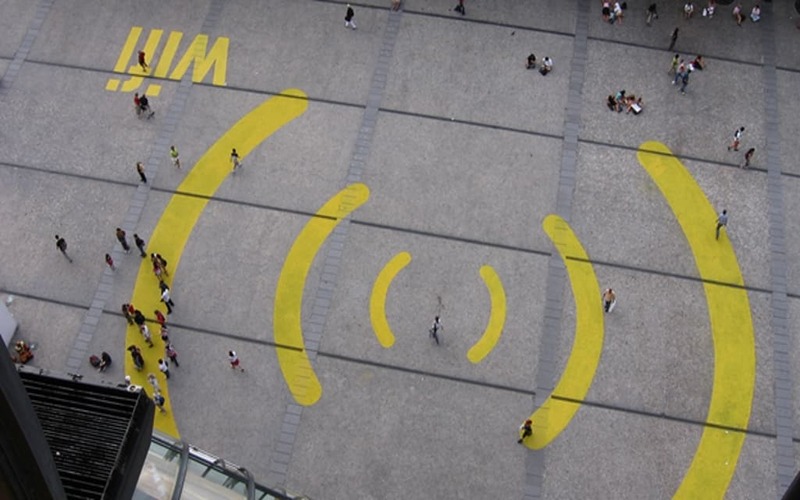 By following these 5 safety tips, you’re guaranteed to keep yourself, and your devices safe while using any public WiFi connection. By failing to keep yourself safe on public WiFi, hackers and cyber criminals can easily gain access to your device and you risk putting your own personal information in jeopardy.